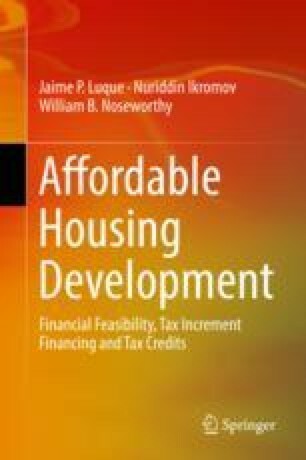 This chapter focuses on tax increment financing (TIF)—a powerful and favorite economic development tool. After a brief description of the program, we examine both the upsides and the downsides to the TIF program. We then continue to our primary objective—explaining how TIF works in practice, including how tax increment districts (TIDs) are created, and the process of reviewing applications. We will then look at TIF from the developers’ and policymakers’ perspectives.